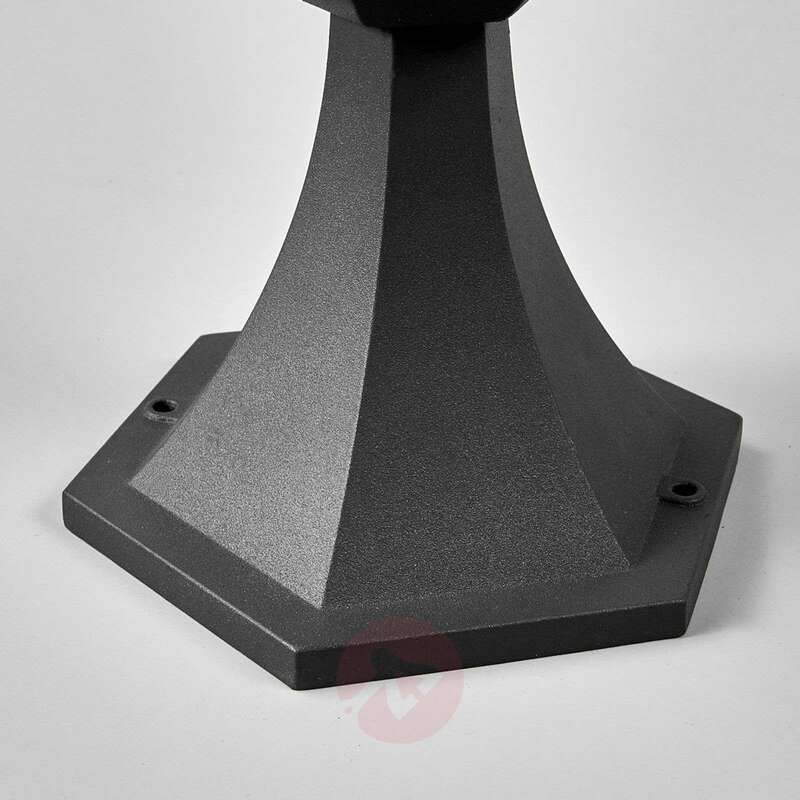 The stand of this pillar light is made from cast aluminium with a dark grey finish. 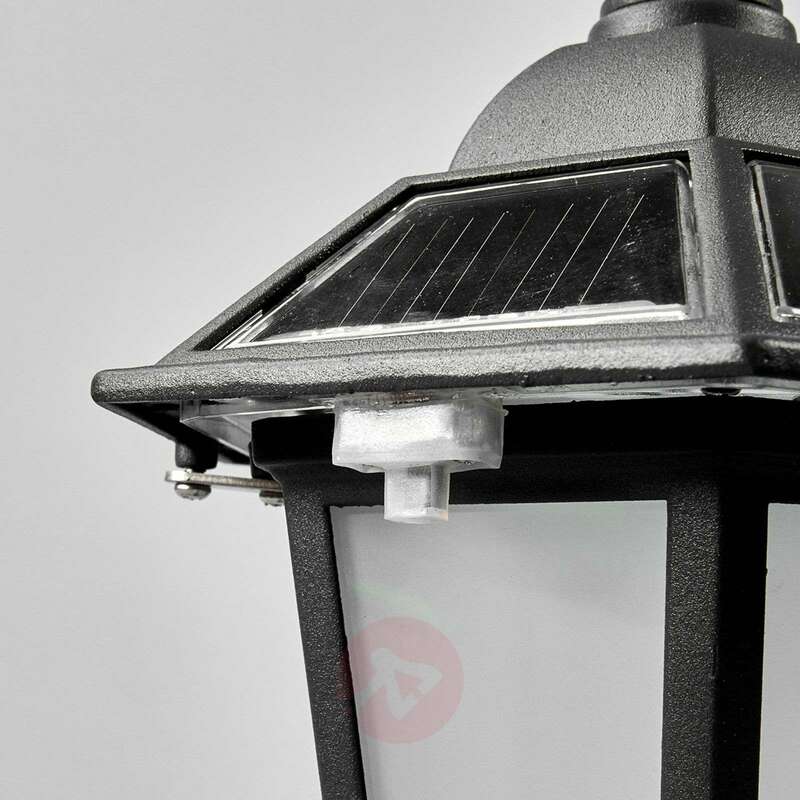 Kristin does not look any different from classic pillar lights, yet its functionality is very different from conventional pillar lights, as it is powered not by the mains, but by the power of the sun. 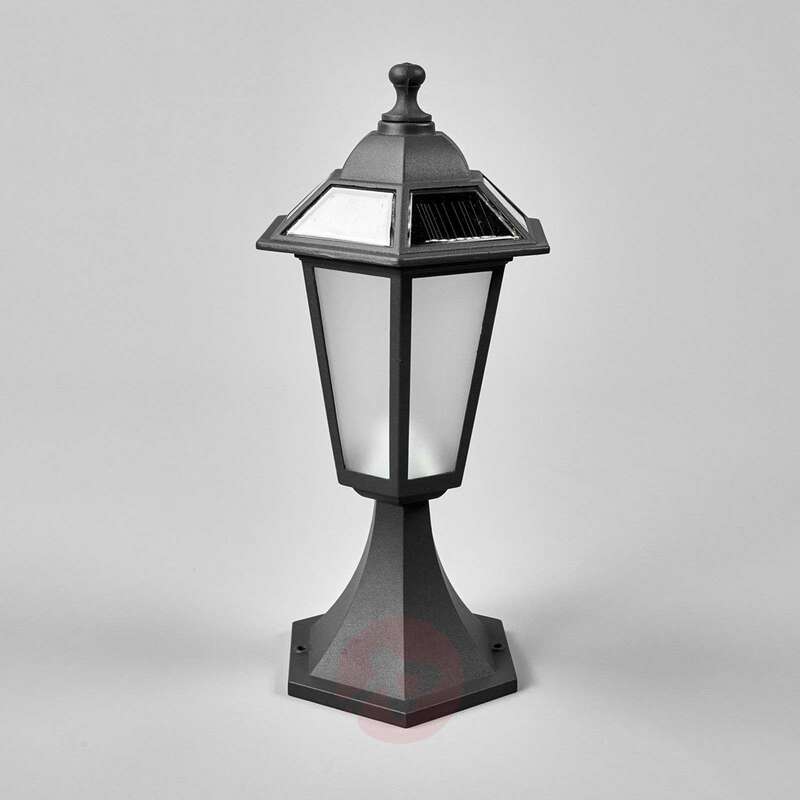 The LED pillar light features integrated solar technology, with solar panels sitting on the roof of the lampshade. These panels capture energy from the sun and store it in the integrated battery. When darkness sets in, the LEDs utilise this power to illuminate the surroundings. 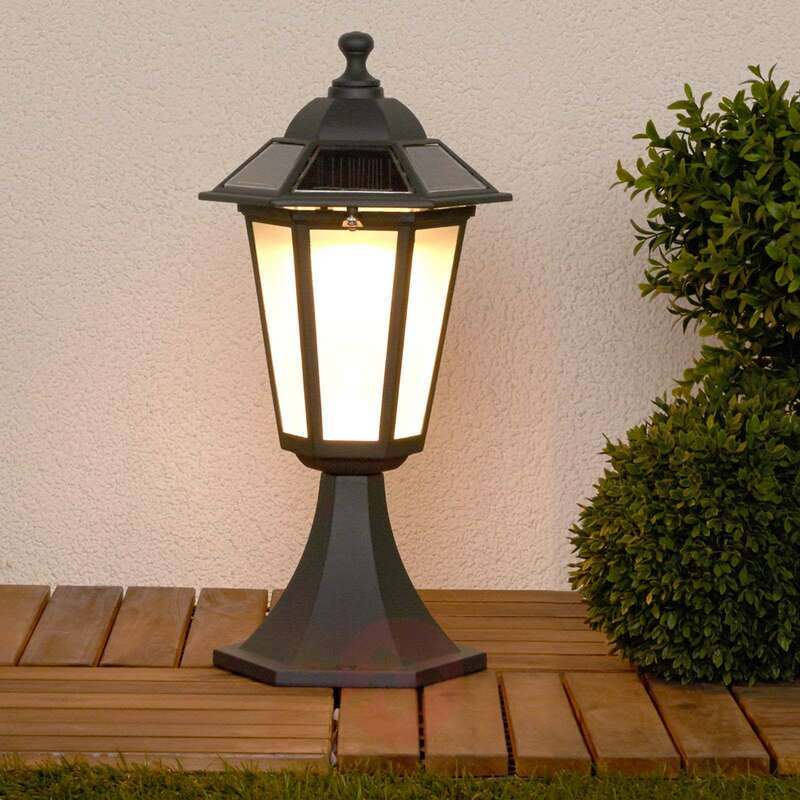 The Kristin light is a very fine addition to classic settings! How long will they light for on a full charge?? Thank you for asking. 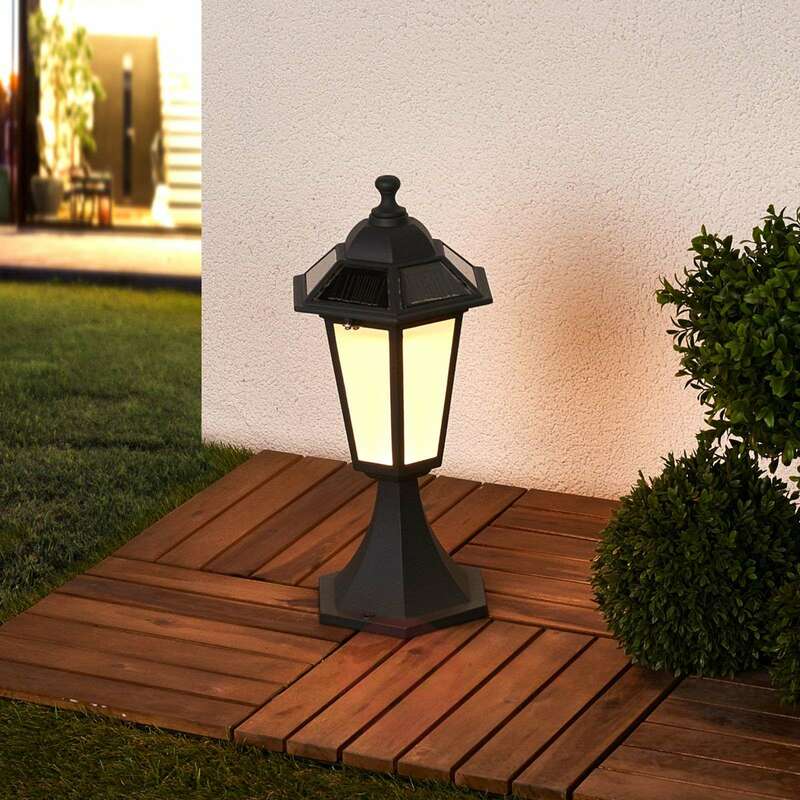 This light will illuminate for as long as it has received direct sunlight, up to a maximum of 8 hours. So, for example if it charges in direct sunlight for 4 hours, then it will illuminate for 4 hours. Hi just wondering what would roughly be lifespan of these lights be how many years etc and can you replace batteries. 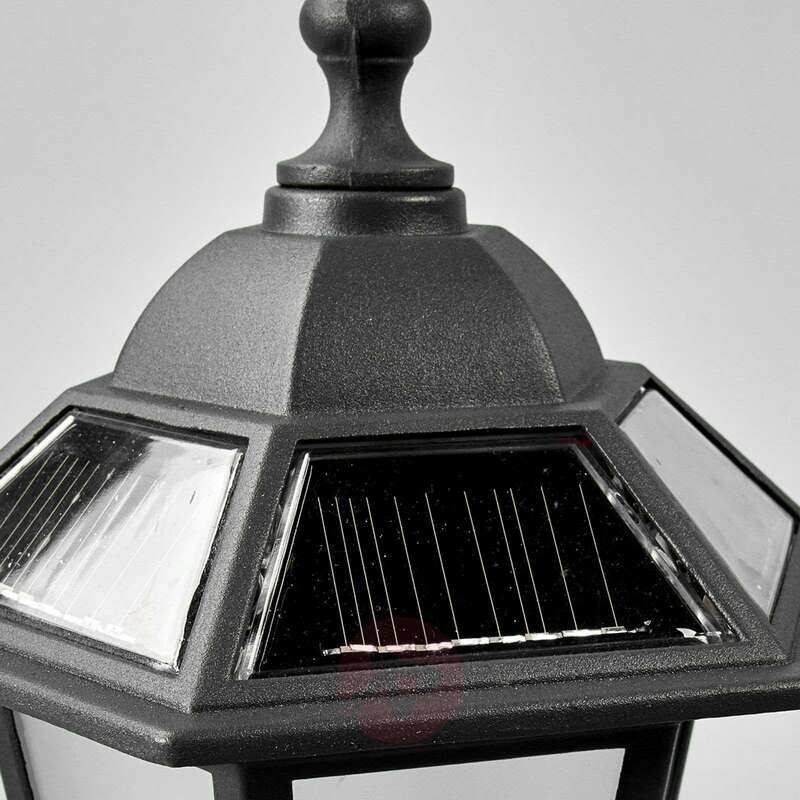 It is recommended for batteries to solar lights to be exchanged every 2 years. 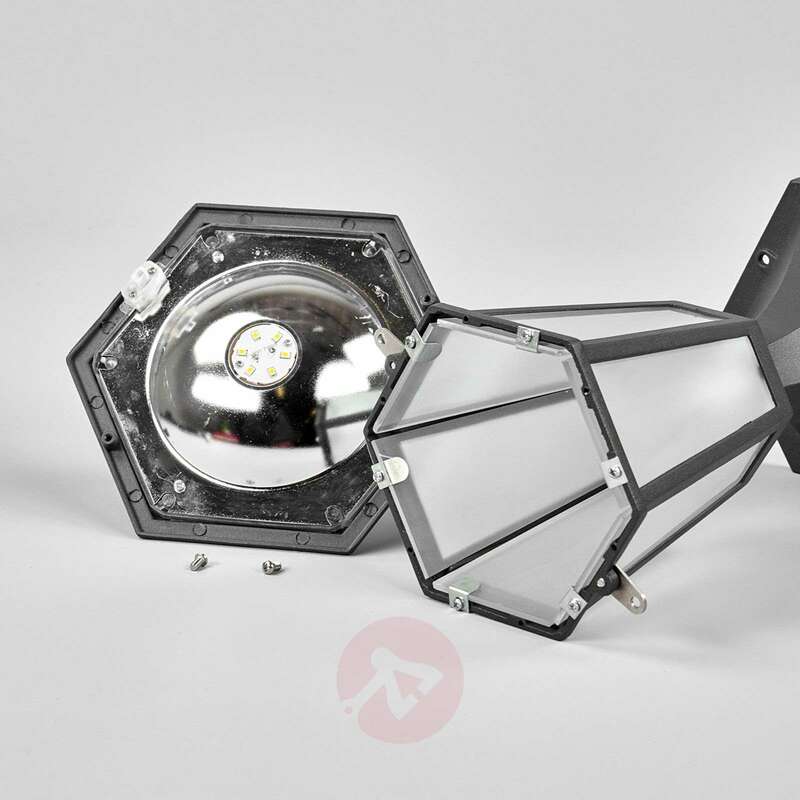 Hi, what is the light output of this item in lumens? Thank you for your query. 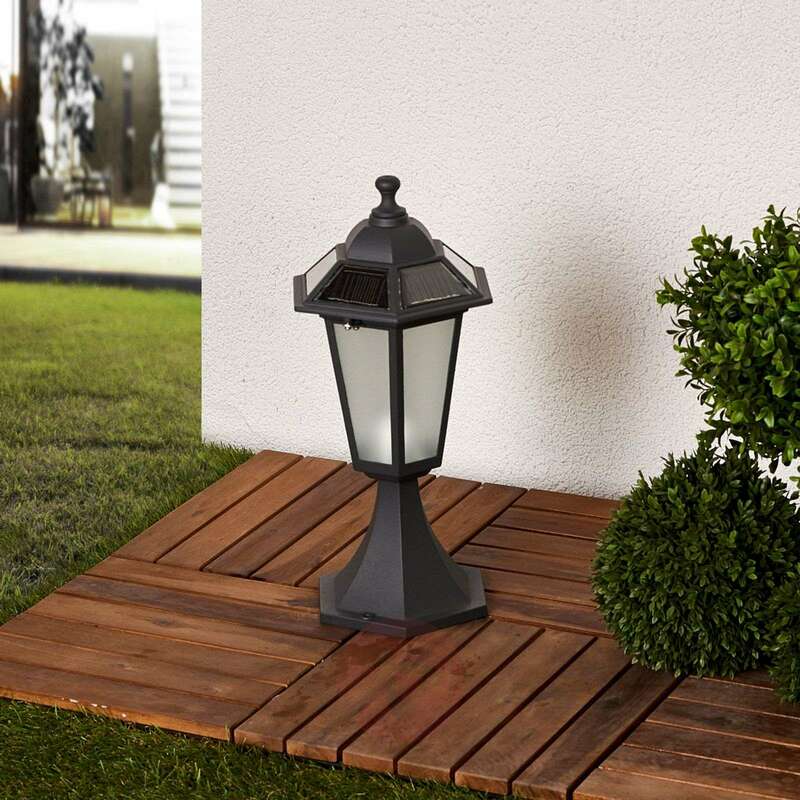 This light puts out 12 lumens, so it is more of a decorative light than one to light up a space. I bought two of them about a month ago and I’m very happy that I did, it’s just what I was looking for. No wiring needed very easy to install anyway. Perfect size and looks great. Great features and easy to install. Would recommend this product as no worrying about installing electrical lighting. Illumination Good illumination but more for decoration.